Symphobia contains some of the most expressive and realistic sounds I have heard in a orchestral library. I wanted to let you guys know how much I appreciate the high quality products you produce. Both Symphobia and True Strike 2 are splattered throughout District 9. Symphobia is the most advanced, realistic and impressive library that exists today. It has basically replaced all my other sound libraries. True Strike is a permanent part of my palette. I use it in all my scores. Symphobia is a very well crafted library. There is a richness to the samples generally not heard from other commercial libraries. Symphobia 2 is a library that never lets you down. It's inspiring, smart and great sounding. A must for every composer. After working with one of the world's most accomplished orchestras, no other library will give me the inspiration or ease to rival that sound... my creative flow is accelerated. ProjectSAM has surprised me again with the brilliant Symphobia 2. Simply awesome. 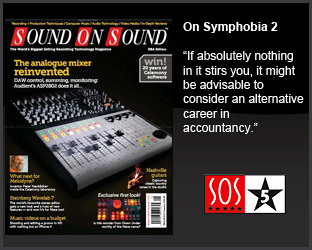 Symphobia 1 and 2 are my first call, go-to sounds. I'm always looking for inspiration and Symphobia nevers fails me. The instruments have a musicality that is unique among samples libraries. The full spectrum of natural sounding samples are ample reason why I can't wait to get back into my studio to play with ProjectSAM's Symphobia 2. 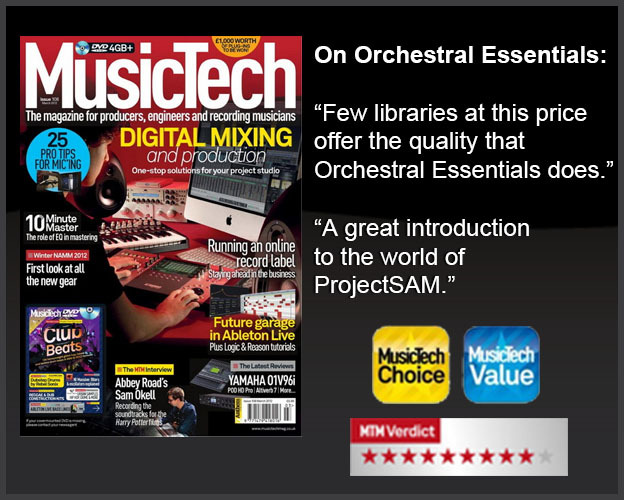 ProjectSAM has created the most significant and useful software tools ever available for a music composer! Nothing else comes close. 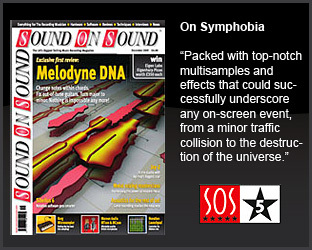 Symphobia 2 is an amazing, helpfull tool to establish the soundscape of many of our scores, including our Warhammer 40k: Space Marine Sountrack. Whether you're writing rock, pop of music for film, Orchestral Essentials gives you world-class sounding classical instruments, so platable that you'll find it hard to pull away from the keyboard. Once again (Symphobia 2), my friends at ProjectSAM have outdone themselves! The textures and effects continue to put a smile on my face! 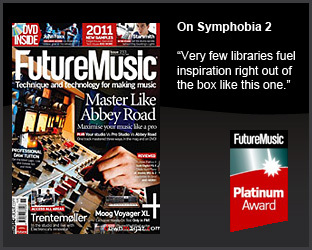 Symphobia 2 adds wonderful depth to an already stellar library of sounds. 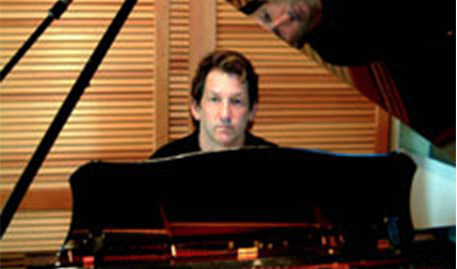 ProjectSAM has produced an indispensable tool for composers. I am Delighteed to have discovered the ProjectSAM libraries. 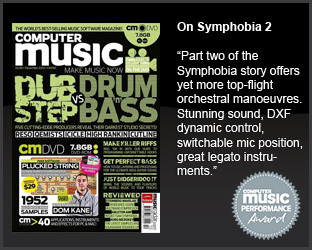 They are now an integral part of my orchestral palette and I couldn't recommend them highly enough. There are a lot of great sounds and gestures in Symphobia 3: Lumina. Especially the ethereal choir sounds and legato woodwinds are a joy to play and perfect addition to the already amazing sounding Symphobias! I've been a long-time fan of the Symphobia series. 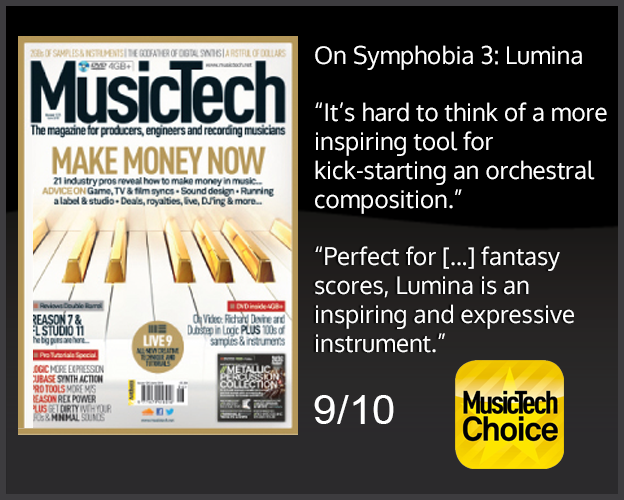 Symphobia 3: Lumina goes in a completely new direction, offering entirely new playable ensembles and textures. Playing LUMINA is wanting to write a new theme for every scene! It's inspiring, well put together and a great inspiration for any composer! And it's Dutch! Symphobia 3: Lumina may be one of the most generous and evocative libraries ever. I had no idea how ProjectSAM might top the incredible sounds of Symphobia 1 & 2. But they did! 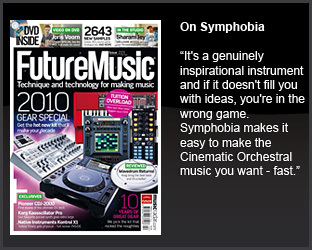 For the past 3 years Symphobia has been my go- synth for anything string related. From [...] massive sections to weird effects, it's got it all. 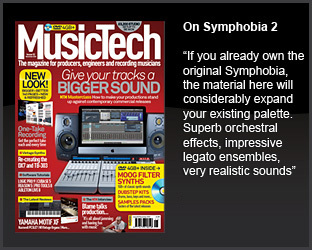 Symphobia is definitely the best orchestral sample package I've ever heard so far. 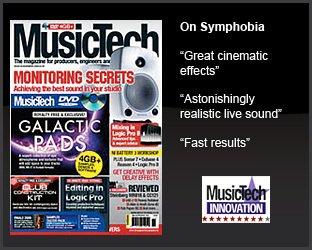 It's so effective and makes your music sound as if it being performed by 90 musicians. Truly amazing! Symphobia has pushed my orchestrations in new directions by suggesting orchestral colors that wouldn't otherwise come to mind. What I love about Lumina is the same thing I love about the original Symphobia. The sounds [...] inspire me. Lumina is filled with extremely useful tools for soundtrack composers. 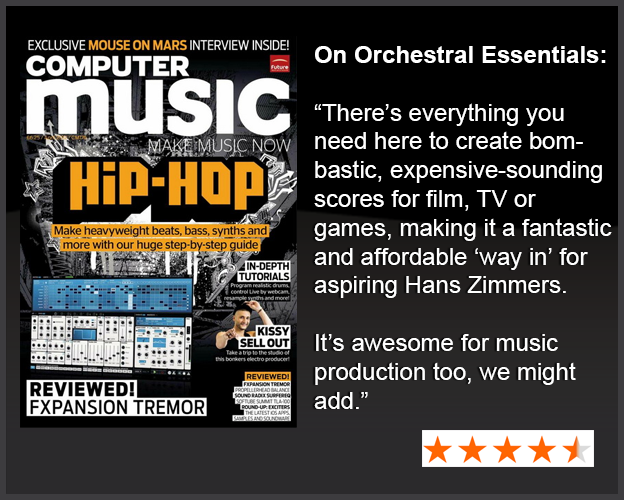 Orchestral Essentials is just an essential tool for every musician seeking high quality original sounds. Symphobia holds a place of cherished appreciation in my template. I use it in nearly every cue I write and it never fails to inspire me. Love it!